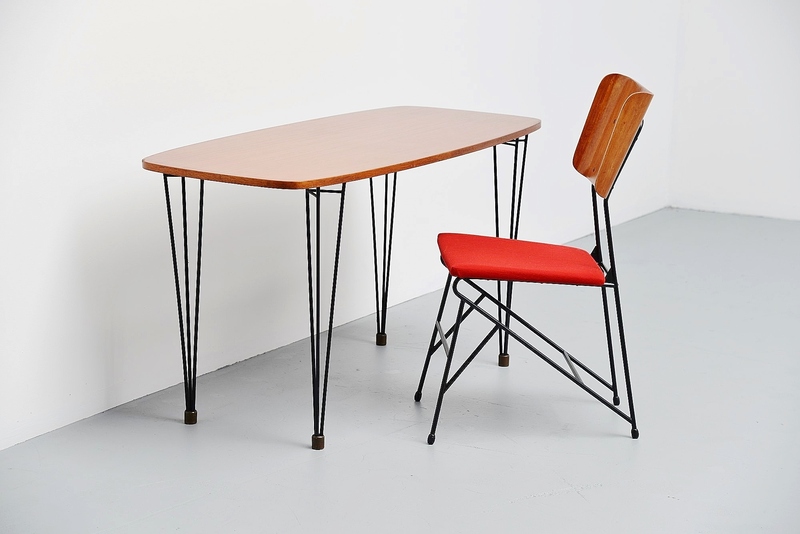 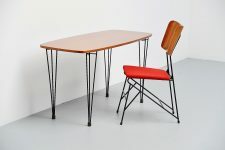 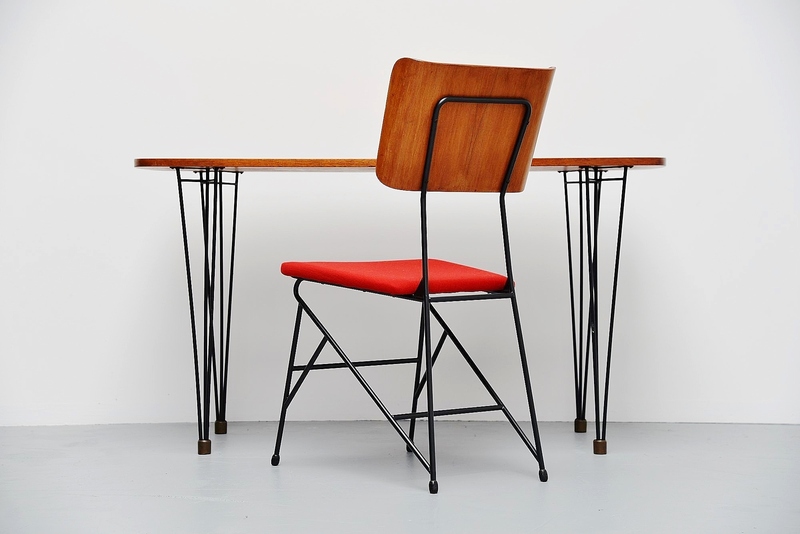 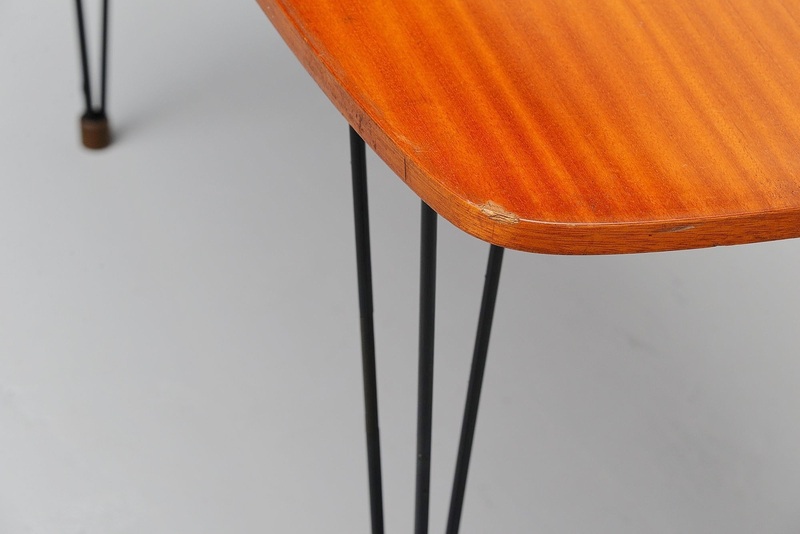 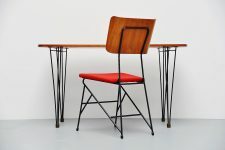 Very writing table and chair designed by Carlo Ratti, manufactured by Legni Curva, Italy 1950. 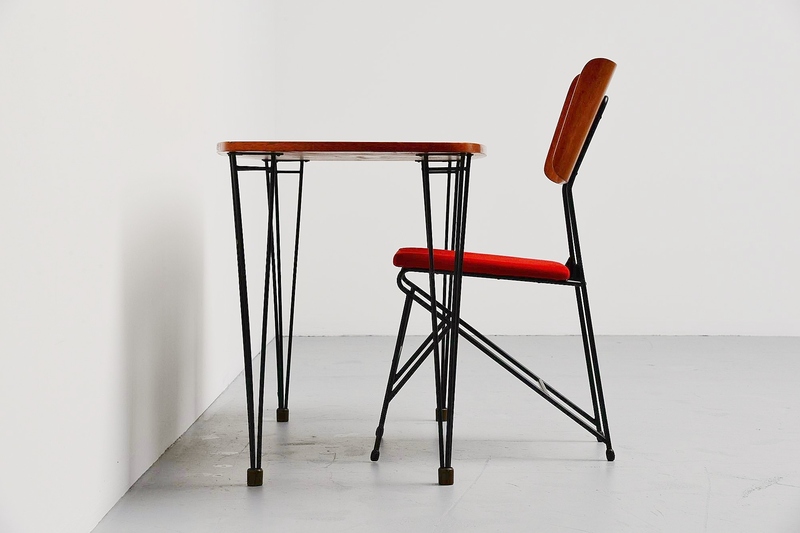 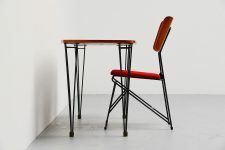 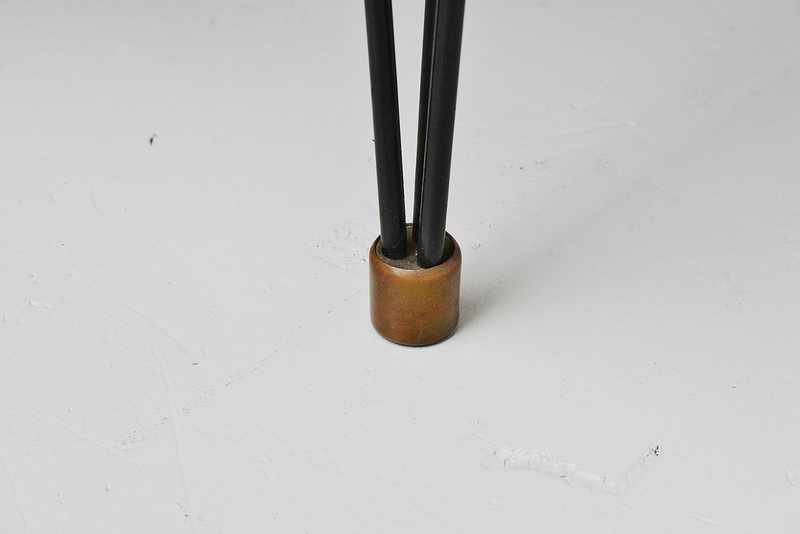 The chair has a solid metal frame, black lacquered, same as the table, but the table has brass feet. 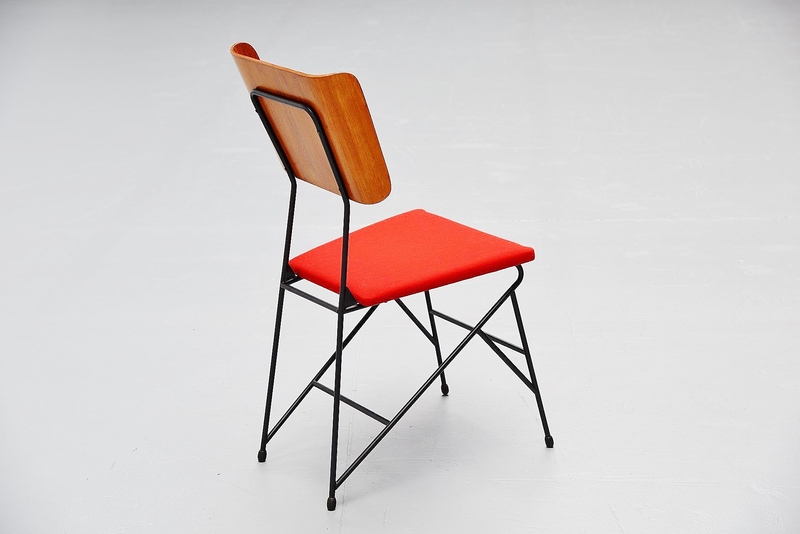 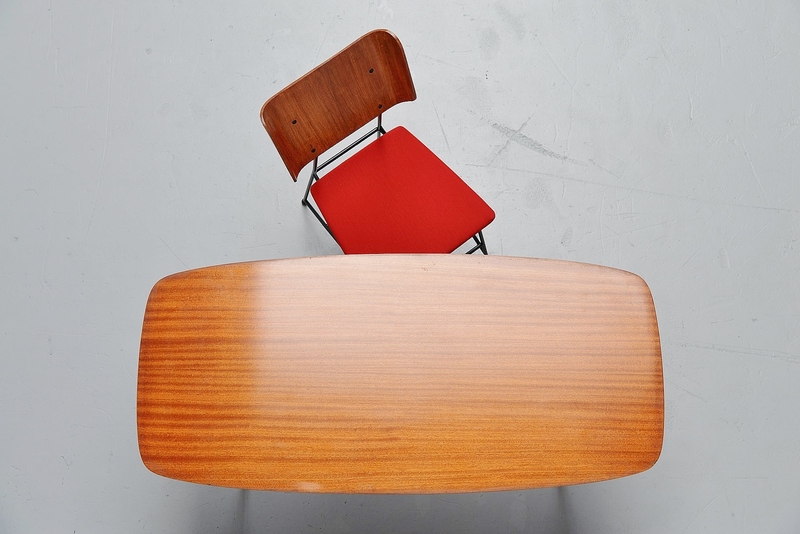 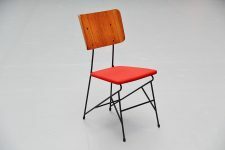 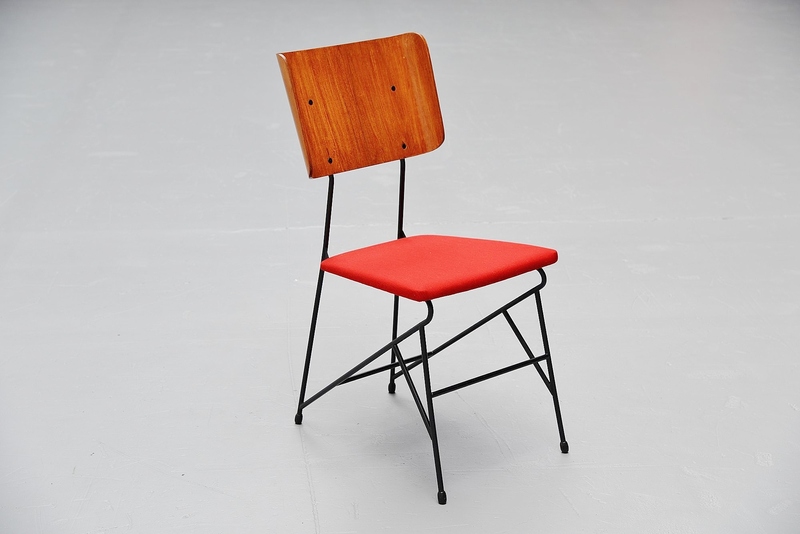 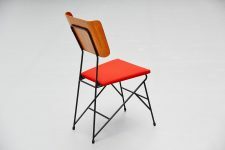 The chair has a teak plywood back and red newly upholstered seat. 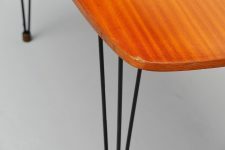 The chair is very nice typical Italian shaped and is in very good condition, the table top has some marks from age and usage, visible on the picture.